Rodney pulled a shoe. 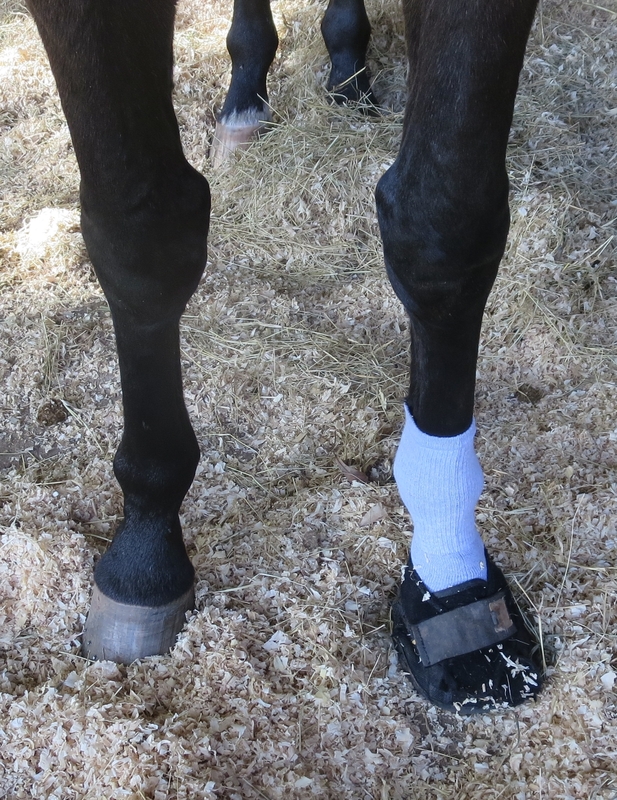 This is a temporary measure until the farrier comes. Now imagine a short, stocky, black mare with white bobby sox on her ankles. That is Mathilda’s daytime look.